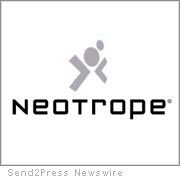 TORRANCE, Calif. — Neotrope(R), a brand identity, PR, and marketing firm established Jan. of 1983, has extended the 2009 grant application deadline for non-profit organizations, from Nov. 12th, to Dec. 7th, 2008, due to the recent U.S. elections. The company is donating $25,000 in free public relations and newswire services to worthy smaller non-profit and charitable organizations to celebrate its 25th anniversary. Neotrope previously donated $25K worth of services in 2000, and $22K in 2005; and has provided discounted or free services to various non-profits for more than 20 years. Non-profit organizations may apply for the grant through December 7th, 2008 (extended from Nov. 12th). Organizations will be selected based on various factors related to “doing good,” and the amount donated to each selected non-profit will vary. Half of the grants will be provided to California-based non-profits, who will receive additional promotional assistance through California Newswire(R) along with a free eMediaKit(TM). Additionally, all 501(c)(3) organizations automatically qualify for a 20% service discount. All qualified applicant organizations will be entered into a drawing to win a new One Laptop Per Child (OLPC) notebook which can be used for fund-raising purposes. The 2009 Neotrope PR grant application can be found at http://www.Send2Press.com/non-profit/index.shtml. Since 1983, Neotrope (www.neotrope.com) has been helping small-to-medium businesses and entertainment companies establish their brand and grow revenue. The Neotrope marketing team includes Christopher Laird Simmons, who is an award-winning designer, photographer, musician and digital artist. Other team members include accredited public relations professionals, working journalists and broadcast veterans. Simmons is a member of the Public Relations Society of America (PRSA), Graphic Artists Guild, and ASCAP; and has been working in the P.R. field since 1981. Simmons has been widely interviewed by publications as diverse as Entrepreneur, Chicago Post Tribune, PCWorld, and TrendWatch.